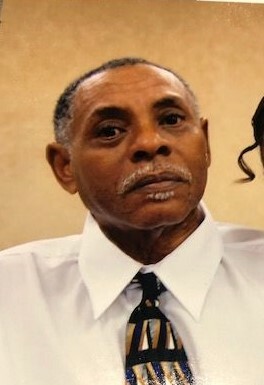 Obituary for Harold Eugene Moore | Mack Eppinger & Sons Funeral Service, Inc.
Mr. Harold E. Moore, 75 of Kennesaw, Georgia passed away surrounded by his loving family on Sunday, February 3, 2019. Funeral service will be held on Saturday, February 9, 2019 at 1:00pm at Mt. Zion Missionary Baptist Church, 147 Jones Street, Cartersville, GA. 30120. The body will lie in state in the church from 12:00pm ( Noon) until the hour of service. Interment will follow in Oak Hill Cemetery. The family will receive friends on Friday, February 8, 2019 from 7:00pm - 8:00pm at the Mack Eppinger and Sons Funeral Home, 210 North Bartow Street, Cartersville, GA. 30120. Harold was born in Stilesboro, Georgia on April 25, 1943 to the late James and Annie Ruth Edwards Moore. He was educated in the Bartow County School System. At an early age he joined Shiloh Baptist Church, later in life he attended Mt. Sinai Baptist Church of Taylorsville. After many years of service, Harold retired from General Motors in 1999. When he was not working , he enjoyed going to the stables, grooming the horses and riding them. He loved washing and cleaning up his car, so he could cruise around Cartersville and Rockmart visiting his family and friends. He took pride in being a loving grandfather to all of his grandchildren; they brought him love, laughter, good times and joy. Harold married Christine Turner Moore and they raised a family together full of love. He was preceded in death by his parents; son, James Allen Moore; sister, Annette Hutchins; brothers, Fred and Hugh Moore. His three close friends, Lee Paul Hutchins, Harvey C. King and Raymond Charles Morris, now the circle of friends has been completed.